President Trump today signed the Department of Veterans Affairs Accountability and Whistleblower Protection Act into law. This VA reform bill gives the Secretary of Veterans Affairs (“VA”) David Shulkin and future VA Secretaries the ability to discipline and fire employees for poor performance or breaking department rules. The law also improves whistleblower protections – a crucial improvement for uncovering wrongdoing within the VA. The bill received bi-partisan support in both the Senate and the House, with members of both parties recognizing the need to strengthen existing whistleblower protections, as well as the need to be able to apply penalties to an employee that has not met performance standards or who is guilty of misconduct. “This legislation provides the VA Secretary the authority needed to hold employees accountable for their wrongdoing, and strengthens protections for whistleblowers who are committed to the health and wellbeing of veterans. Our veterans deserve a VA they can have trust in, and these commonsense solutions are key to restoring that confidence,” said Senator John McCain. The measure passed the House by a 368-55 vote earlier this month. It passed the Senate by a unanimous voice vote. 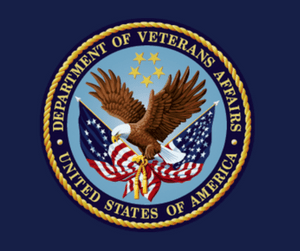 The Veterans Administration is the second-largest department in the U.S. government, with more than 350,000 employees, and is responsible for providing health care and other services to military veterans. However, stories of chaos and mismanagement within the Veteran’s Administration have circulated for many years. In 2014, A VA physician, Dr. Sam Foote and Pauline DeWenter, a VA scheduling clerk, went public as whistleblowers. DeWenter revealed the existence of a secret scheduling list at the VA in Phoenix, AZ. The resulting fallout led to the resignation of VA Secretary Eric Shinseki. Dozens of veterans are alleged to have died because of long wait times at VA hospitals across the country. DeWenter also alleged that files of deceased veterans were altered to cover up that veterans had died while waiting for care. Protects whistleblowers from retaliation by not allowing the VA Secretary to use his or her authority to fire employees who have filed a complaint with the Office of Special Counsel (OSC). Establishes an Office of Accountability and Whistleblower Protection for employees to bring to light major problems at the VA without losing their job or facing retaliation. The VA Reform Bill gives VA whistleblowers new confidence that their rights will be protected. Everyone who has the courage to blow the whistle on wrongdoing should be protected from retaliation. If you have concerns about illegal violations of employment, health, or safety standards and you think you may have a whistleblower case, contact us. One of our experienced whistleblower attorneys will review your claims confidentially to see if you have a case for a possible whistleblower lawsuit.